CHICAGO — On Jan. 30, 1970, Mayor Richard J. Daley joined a throng of city officials to celebrate the extension of the Kennedy Rapid Transit Line — known today as the Blue Line — from Logan Square to a new station in Jefferson Park. "Leave your car at home, help to reduce pollution, and ride the CTA," Daley told gathered media that day, according to Tribune archives. 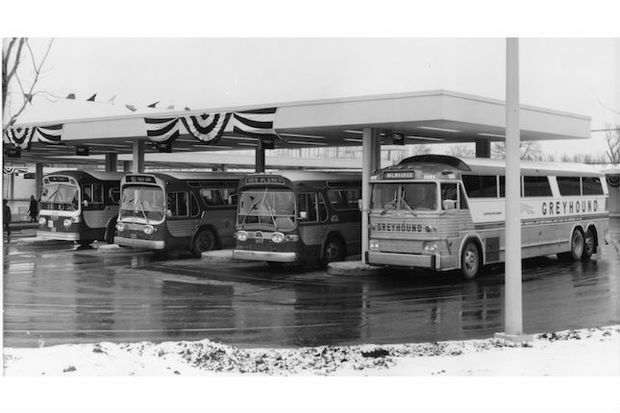 The transit center originally served Greyhound buses, a service that today only runs from the Rosemont Blue Line station. Jefferson Park now serves as the nexus of more than a dozen Pace and CTA bus lines, and it remains the only terminal in the city accessible to both Metra and "L" trains. 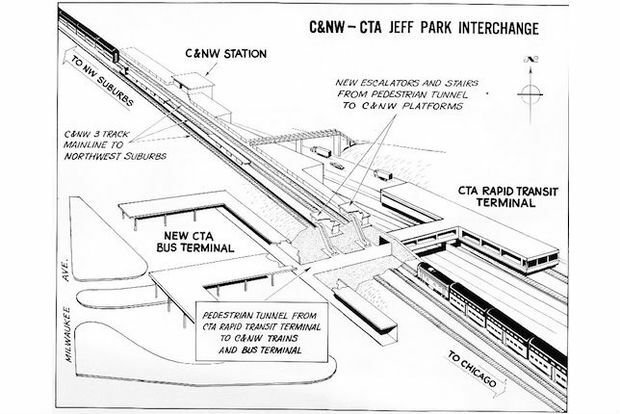 In 1984, the Blue Line was extended all the way to O'Hare Airport, meaning Jefferson Park was no longer the last stop. The station was renovated to become wheelchair-accessible in 2000, and another facelift is being planned for next year. DNAinfo is partnering with the Northwest Chicago Historical Society for a new history post each month. All photos are the property of Northwest Chicago Historical Society unless otherwise indicated. For more photos and information, visit the Northwest Chicago Historical Society's Facebook page.